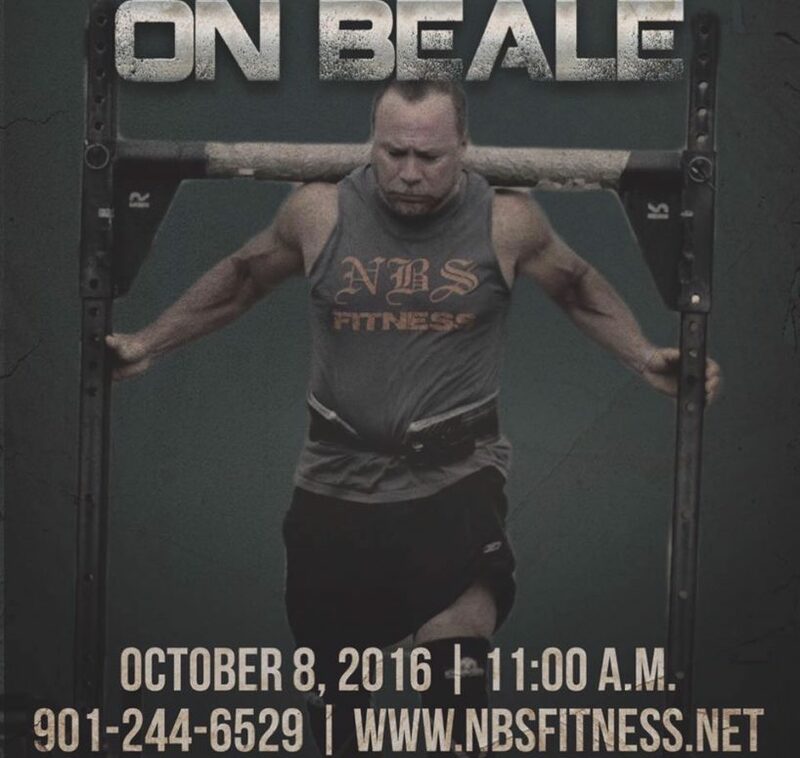 One week around the corner, the Clash for Cash on Beale Street is shaping up to be one of the biggest NBS Fitness events of the year. With the weather changing for the better, college football season getting more and more heated by the week, and all the other great attractions in Memphis during this time, some may be considering not checking out the event. Not so fast, Memphians. Here are three reasons you need to be at the Clash for Cash on Beale. Obviously, the location has been made abundantly clear, but having a strongman on Beale street is a great idea for many reasons. Not only is it a high traffic area, but historically a great venue for any event. Those who are active and appreciate the strength sports and competition will really enjoy this combination of strength and showmanship. On top of that, the competition as noted in the name, will feature cash payouts. This means that the competition will be fierce as the stakes are high. We have many national level athletes from all around the U.S. attending the event. Adding in a large crowd will definitely make this a unique and intriguing event. Hell if you, yourself, decide you’re feeling hyped up enough by the spirit of strongman competition, you could even enter the open car deadlift demo at the end of the day! This event truly is not only unique in its location and prize money, but will also feature some great vendors from the Memphis area. There will be plenty of opportunities to taste some great beers, food, and enjoy the products of local Memphis businesses. There has been an outstanding amount of support from the local Memphis businesses and we would all love if you came down to enjoy a great day and support them as well. Oh… and did I mention free beer tasting at the awards ceremony? In August, I had the pleasure of judging at U.S.S. Nationals in Louisville, KY. It was a long day, but was one of the best experiences I have had in strongman. This was for many reasons such as meeting up with good friends, enjoying the unique venue that is Louisville’s Fourth Street Live, and experiencing the atmosphere of competition that strongman is known for. There was a huge crowd and a great showing from the athletes, as well as great vendors and perfect weather for an outdoor show. Strongman is known at the highest level for World’s Strongest Man, but remains a sport that is little well known or followed by those who do not compete in it. However, with all people that took time to stop by that day and expressed interest and awe in the unique competition that was taking place, the people in charge of Fourth Street Live were dying to have U.S.S. hold another competition. The cool thing is all these factors are set to be at next week’s Clash for Cash. We hope to make this one of the coolest events on Beale this year and would love to see you there to support the growth of strongman, our vendors, and Memphis itself.